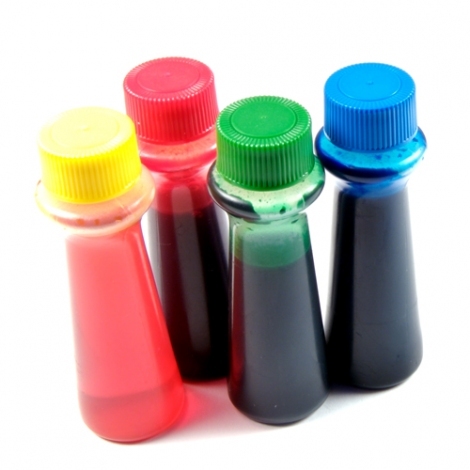 How safe is food coloring? Ever since the red dye #2 scare in the 1970s I’ve been wary of using food colorings or buying food that appears to contain them. Are there natural and healthy food colorings? Many of us are still wary of food dyes because of reports about links between red dye #2 and cancer in the 1970s. While red dye #2 was subsequently banned from products sold in the United States, many health-conscious consumers continue to avoid foods with other artificial colors or dyes—even though the U.S. Food and Drug Administration (FDA) still considers them safe for human consumption. But a 2010 analysis of past research on links between food dyes and health by the Center for Science in the Public Interest (CSPI) found compelling evidence that ingestion of artificial dyes can contribute to hyperactivity, restlessness and attention problems in some children—particularly those with ADHD. “What’s more, the studies suggested that removing dyes from those children’s diet was a quarter to half as effective in reducing those symptoms as giving the kids Ritalin or other stimulants,” reports Nancy Cordes, CBS News’ Consumer Safety Correspondent. “In other words, certain kids with ADHD might not need drugs if the artificial dyes were removed from their diets.” Several commonly used artificial food dyes are suspected carcinogens as well. While it might be impossible to prevent your children from eating anything with artificial dye, you can do your part by shopping at Whole Foods or Trader Joe’s—both chains have banned products that use artificial dyes and carry allnatural food coloring for home cooking and baking projects. One brand to look for is India Tree, which makes a line of food coloring derived from vegetable colorants. The company’s “Nature’s Colors Natural Decorating Colors” contain no corn syrup or synthetic dyes, and are highly recommended for coloring icing in rich jewel tones or soft pastels. Another company specializing in natural (as well as organic) food colors is Nature’s Flavors, whose products are widely used commercially in ice cream, baked goods, frosting, dairy products, syrups, sauces, beverages and even hair colors. The company recently began to sell their products to consumers, as well, through retail stores. They use a variety of plant materials, including beets, turmeric root, annatto seeds, purple carrot, purple cabbage, gardenia flowers, hibiscus flowers and grape skin. “Our natural food colors are made from plants and contain powerful antioxidants, which help the body repair itself from the effects of oxidation,” claims Nature’s Flavors. “Using natural or organic food colors may actually help the brain and slow down the effects of aging.” Another leading maker of all-natural food coloring is Chefmaster, whose products can be found at Whole Foods and other natural and high end food retailers, as well as on amazon.com and elsewhere online. CPSI would like the FDA to ban eight of the most common artificial dyes, or at least affix a warning label to products that contain them: “Warning: The artificial coloring in this food causes hyperactivity and behavioral problems in some children.” In the meantime, concerned eaters should stick with products, stores and restaurants that use natural ingredients. The Center for Science in the Public Interest found compelling evidence that ingestion of artificial food dyes can contribute to hyperactivity, restlessness and attention problems in some children, especially those with ADHD. Fortunately, there are now natural alternatives available, made primarily from vegetable colorants. CONTACTS: India Tree, www.indiatree.com; Nature’s Flavors, www.naturesflavors.com; CPSI’s “Food Dyes: A Rainbow of Risks,” www.cspinet.org/new/pdf/food-dyes-rainbow-ofrisks.pdf. EarthTalk® is written and edited by Roddy Scheer and Doug Moss and is a registered trademark of E - The Environmental Magazine ( www.emagazine.com). Send questions to: earthtalk@emagazine.com. Subscribe: www.emagazine. com/subscribe. Free Trial Issue: www.emagazine.com/trial.